1.4 Our website incorporates privacy controls which affect how we will process your personal data. By using the privacy controls, you can specify whether you would like to receive direct marketing communications and limit the publication of your information. You can access the privacy controls via your account. 1.5 In this policy, "we", "us" and "our" refer to Passion Connection LTD. For more information about us, see Section 17. 2.3 We may process your account data ("account data"). The account data may include your name and email address. The source of the account data is you or your employer. The account data may be processed for the purposes of operating our website, providing our services, ensuring the security of our website and services, maintaining back-ups of our databases and communicating with you. The legal basis for this processing is our legitimate interests, namely the proper administration of our website and business, the performance of a contract between you and us and/or taking steps, at your request, to enter into such a contract, order. 2.4 We may process information that you post for publication on our website or through our services ("publication data"). The publication data may be processed for the purposes of enabling such publication and administering our website and services. The legal basis for this processing is our legitimate interests, namely the proper administration of our website and business or the performance of a contract between you and us and/or taking steps, at your request, to enter into such a contract, order. 2.5 We may process information contained in any enquiry you submit to us regarding goods and/or services ("enquiry data"). The enquiry data may be processed for the purposes of offering, marketing and selling relevant goods and/or services to you. The legal basis for this processing is consent. 2.6 We may process information relating to our customer relationships, including customer contact information ("customer relationship data"). The customer relationship data may include your name, your employer, your job title or role, your contact details, and information contained in communications between us and you or your employer. The source of the customer relationship data is you or your employer. The customer relationship data may be processed for the purposes of managing our relationships with customers, communicating with customers, keeping records of those communications and promoting our products and services to customers. The legal basis for this processing is our legitimate interests, namely the proper management of our customer relationships. 2.7 We may process information relating to transactions, including purchases of goods and services, that you enter into with us and/or through our website, service ("transaction data").The transaction data may include your contact details, your card details and the transaction details. The transaction data may be processed for the purpose of supplying the purchased goods and services and keeping proper records of those transactions. The legal basis for this processing is the performance of a contract/order between you and us and/or taking steps, at your request, to enter into such a contract/order and our legitimate interests, namely the proper administration of our website and business. 2.8 We may process information that you provide to us for the purpose of subscribing to our email notifications and/or newsletters ("notification data"). The notification data may be processed for the purposes of sending you the relevant notifications and/or newsletters. The legal basis for this processing is consent or the performance of a contract between you and us and/or taking steps, at your request, to enter into such a contract/order. 2.10 The newsletter contains so-called tracking pixels. A tracking pixel is a miniature graphic embedded in such e-mails, which are sent in HTML format to enable log file recording and analysis. This allows a statistical analysis of the success or failure of online marketing campaigns. Based on the embedded tracking pixel, the Test may see if and when an e-mail was opened by a data subject, and which links in the e-mail were called up by data subjects. Such personal data collected in the tracking pixels contained in the newsletters are stored and analyzed by the controller in order to optimize the shipping of the newsletter, as well as to adapt the content of future newsletters even better to the interests of the data subject. These personal data will not be passed on to third parties. Data subjects are at any time entitled to revoke the respective separate declaration of consent issued by means of the double-opt-in procedure. After a revocation, these personal data will be deleted by the controller. The Passion Connection LTD. automatically regards a withdrawal from the receipt of the newsletter as a revocation. 2.14 We offers users the possibility to leave individual comments on individual blog contributions on a blog, which is on the website of the controller. A blog is a web-based, publicly-accessible portal, through which one or more people called bloggers or web-bloggers may post articles or write down thoughts in so-called blogposts. Blogposts may usually be commented by third parties. The comments made in the blog may be subscribed to by third parties. In particular, there is the possibility that a commenter subscribes to the comments following his comments on a particular blog post. 3.1 As a responsible company, we do not use automatic decision-making or profiling. 4.3 We may disclose your personal data to our suppliers or subcontractors identified at passconn.com/3do.pdf insofar as reasonably necessary for the performance of a contract between you and us and/or taking steps, at your request, to enter into such a contract, order. 4.4 Financial transactions relating to our website and services are handled by our payment services providers e.g. 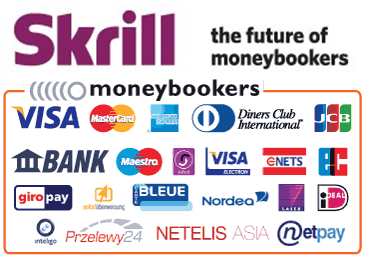 Paypal, Skrill, Stripe, Tpay, list at url. We will share transaction data with our payment services providers only to the extent necessary for the purposes of processing your payments, refunding such payments and dealing with complaints and queries relating to such payments and refunds. You can find information about the payment services providers' privacy policies and practices passconn.com/3po.pdf. 5.2 We and our other group companies have offices and facilities in United Kingdom. The European Commission has made an "adequacy decision" with respect to the data protection laws of each of these countries. Transfers to each of these countries will be protected by appropriate safeguards, namely the use of standard data protection clauses adopted or approved by the European Commission. 5.3 The hosting facilities for our website are situated in United States, United Kingdon, Germany, Japan, Australia, Poland. The European Commission has made an "adequacy decision" with respect to the data protection laws of each of these countries. Transfers to each of these countries will be protected by appropriate safeguards, namely the use of standard data protection clauses adopted or approved by the European Commission. 5.4 You acknowledge that personal data that you submit for publication through our website or services may be available, via the internet, around the world. We cannot prevent the use or misuse of such personal data by others. 6.2 Personal data that we process for any purpose or purposes shall not be kept for longer than is necessary for that purpose or those purposes. The criteria used to determine the period of storage of personal data is the respective statutory retention period. After expiration of that period, the corresponding data is routinely deleted, as long as it is no longer necessary for the fulfillment of the contract or the initiation of a contract. 8.3 You have the right to confirmation as to whether or not we process your personal data and, where we do, access to the personal data, together with certain additional information. That additional information includes details of the purposes of the processing, the categories of personal data concerned and the recipients of the personal data. Providing the rights and freedoms of others are not affected, we will supply to you a copy of your personal data. The first copy will be provided free of charge, but additional copies may be subject to a reasonable fee. You can access your personal data by visiting your account/profile when logged into our website. 8.13 You may exercise any of your rights in relation to your personal data by written notice to us or contact us by contact form, in addition to the other methods specified in this Section 8. 10.1 Our website and services are targeted at persons over the age of 13. 14.4 We use socialmedia cookies. These cookies are used when you share information using a social media sharing button or "like" button on our Site or you link your account or engage with our content on or through a social networking website such as Facebook or Twitter. The social network will record that you have done this. 15.3 If you block cookies, you will not be able to use all the features on our website, service. 17.1 This website is owned and operated by Passion Connection LTD.
London, N14 6HF, United Kingdom. 18.1 Our representative within the European Union with respect to our obligations under data protection law is Passion Connection LTD. Passion Connection LTD d/b/a Lucidsamples is the controller of your personal information for purposes of European data protection legislation. See the Contact Us section above for contact details. Our EU representative you can contact at . 19.1 Our data protection officer's contact details are: .